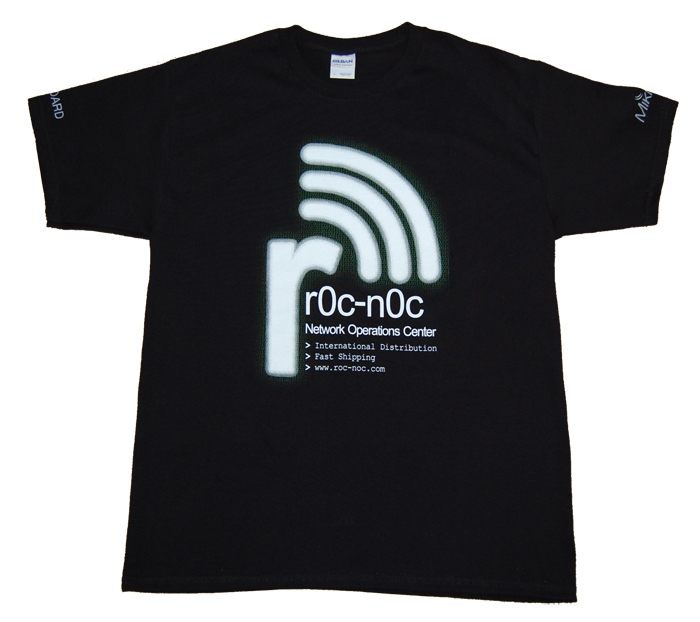 Mikrotik RouterBoard rOc-nOc custom Black T-Shirt, Gildan Ultra 100% Cotton, Pre-Shrunk. 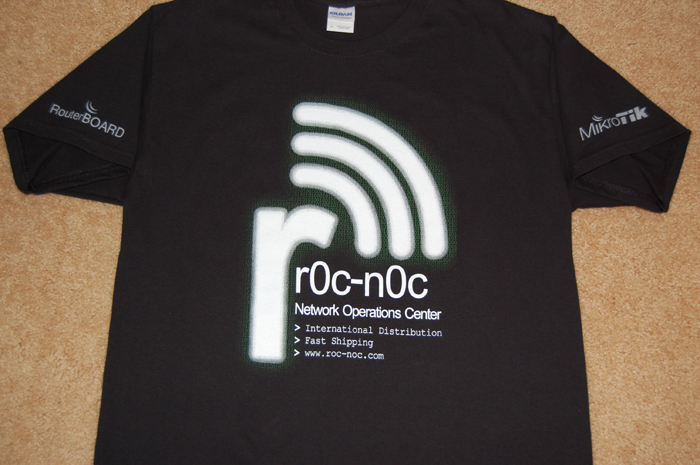 RouterBoard logo on right sleeve, Mikrotik log on left sleeve, rOc-nOc logo and design on front. Designed and hand printed in Rockford, Illinois, USA. Select your shirt size below.